Kenneth Elton Butner was born November 11, 1929 in Royce City, Texas to Burley Lee Butner and Grace Jewel Lancaster Butner. He proudly served his country in the Marines and Air National Guard. Kenneth retired from Southwestern Bell Telephone Company after 43 years of service. He married Margarett Nell Taylor Butner in 1959 and together they had 3 children, Thomas Lee Butner, Kay Lynn Butner Phillips, and Karen Lee Butner. Kenneth was a member of Waxahachie Masonic Lodge #90 where he served as Worshipful Master from 1997-1998 . 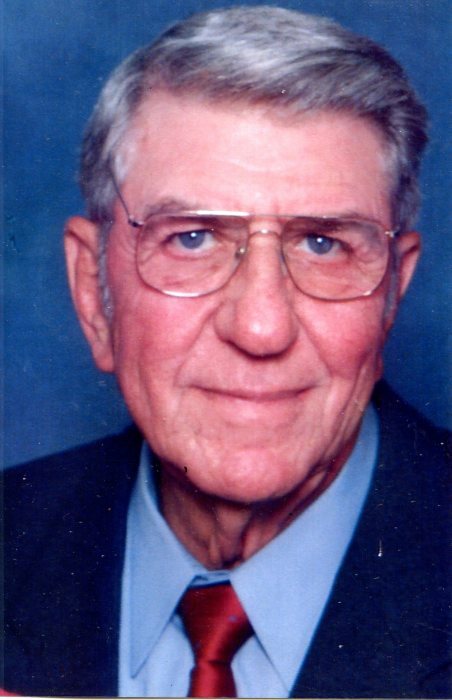 He served as the chairman of the bi-annual blood drive for over 15 years, and received the Golden Trowel Award for exceptional service from the Grand Lodge of Texas. Kenneth was a Mason for 59 years. A semi-professional baseball player, Kenneth had a life long love of sports. He loved hunting and fishing with Thomas and Kay and watching football and going to Ranger games with Karen. He spent many hours playing catch with his grandson Todd and he was never happier than when he was watching Todd play baseball, play football, or team rope. Years later, Kenneth was blessed to see great grandson Bryce play football, baseball and team rope. Kenneth transitioned to his heavenly home on January 15, 2019. He is loved and greatly missed. He is proceeded in death by this parents, Grace and Burley Butner, and his sister -in – law, Jan Rogers Butner, and his dear friend, George Kristen. He is survived by his wife, Margarett, son Thomas and D’Ann Butner of Benton AR, daughter Kay and Jerry Phillips, daughter Karen Butner, granddaughter Angela and Chris Hopper of Benton, AR, grandson Jeff and Jessica Butner of Benton, AR, granddaughter Jennifer and Travis Clark of Round Rock, TX, grandson Todd and Jamie Martin, granddaughter Morgan and Chris Sokolove, great grandchildren, Collin Braaksma, Weston Hopper, Payton Butner, Leam Wilkerson, Jude Butner, Cooper Butner, Raegan Clark, Bryce Taylor Martin, , Samuel Sinclair, Ava Sinclair, and Lindsay Kate Sokolove, brother Bill and Bil Butner, brother-in-law Layne and Faye Taylor, nieces and nephews Greg and Julie Butner and Chris and Annette Butner, Christopher Butner, Anderson Butner, Barry and Elizabeth Taylor, Paula and Hollin McKay, Alicia Taylor, Nicole and Clint Thompson, Brent Taylor, Eli McKay, Joshua and Melissa Shell, and great, great nephew, Zander Thompson.